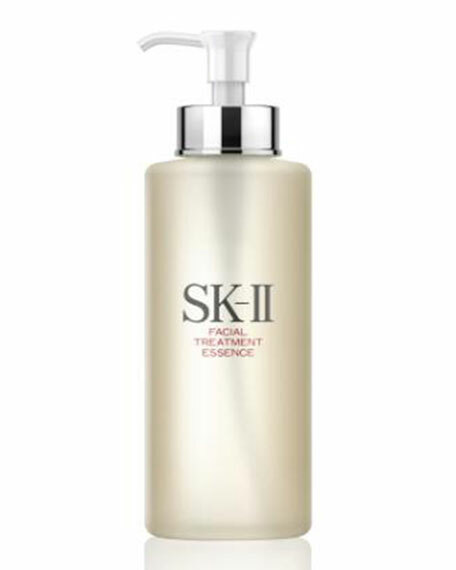 SK-IIFacial Treatment Essence, 11 oz. SK-II's signature product, the much-loved and most awarded bestseller, Facial Treatment Essence has over 90% Pitera, the miracle ingredient discovered over 30 years ago that remains essentially unchanged till today. SK-II's signature and most awarded product. This Pitera rich miracle water reduces the appearance of wrinkles and spots and significantly improves skin texture, firmness and radiance. 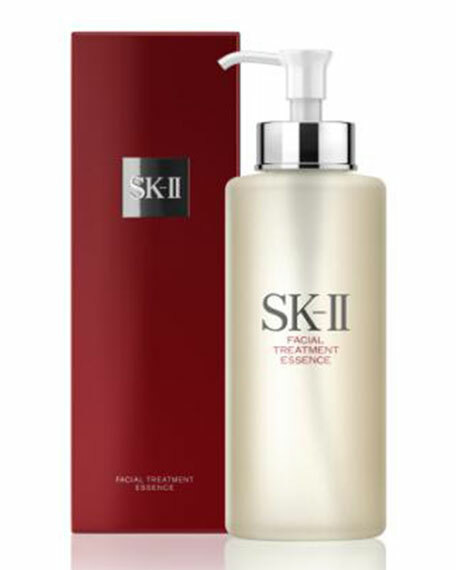 Use morning and evening after purifying the skin with an SK-II cleanser. Sprinkle a teaspoon of Facial Treatment Essence into the palms of the hands. Spread across hands and fingertips. Press into the skin gently, making sure the essence soaks into the entire face and décolletage. For even better results, use following Facial Treatment Clear Lotion and then apply the SK-II moisturizer of your choice.